Ensure the quality of the software applications throughout development – from requirement specification through to final release. Planning and estimating test workload & doing quality risk analysis in cooperation with business analysts, programmers and technical writers. Working closely with developers in the design and implementation of software features via flexible waterfall and agile / scrum based SDLC methodologies – in test design and test execution. Define recovery plans with development teams when needed. MS/MTECH Degree in Production, Machine Design, Mechanical, Industrial Design with 0 to 3 Years of Industry Experience. Critical thinking skills with very strong attention to detail. Excellent written and verbal English communication skills with strong vocabulary, articulation and word pronunciation skills. Having good knowledge of domains like PIDO (DOE, Optimization, and Monte-Carlo techniques), FEA Simulation, PLM, Scripting languages. Exposure to any applications used for automated functional tests ex. SAHI, Sikuli, Selenium etc would be added advantage. Passionate and takes ownership of work with very high standards and a natural knack for finding problems and issues. Team player who works as well in a team as well as individually with very little supervision needed. Provide expertise related to testing on domains like PIDO (DOE, Optimization, and Monte-Carlo techniques), FEA Simulation integration and scripting (Python). Design and develop test automation across SIMULIA software application suites with initial focus on SIMULIA Process Apps. Promote automation capabilities to other teams and sites. Responsible in all levels of testing, from maintenance releases to major releases with new features. Participate in the Go/No-Go release readiness decision and risk assessments. Design and create process workflows with different approaches for various industry problems. Prioritize and execute test cases, analyze output, identify discrepancies and clearly report defects with precise information. Capitalize on feedbacks from incidents reported by customers to continuously improve the testing process (content and efficiency). Contribute to continual improvement of Quality, Performance, Scalability & Security of SIMULIA software products via relevant tools and processes. The Mobile Application Tester is responsible for leading the end to end quality of projects within the Companys Mobile Application Portfolios. The Mobile Application Tester creates, tests, and plans for both manual and automated testing of complex mobile applications. Develop detailed, comprehensive, and well-structured test plans and test cases. Identify and report issues found, then verify that issues are resolved. Fresher or minimum experience in Mobile Application Testing. Knowledge of Software Development/Testing Life Cycle (SDLC/STLC). Knowledge and practical experience with Agile methodologies for software testing. Positive, enthusiastic attitude with a desire to learn in a dynamic environment. Basic knowledge of iOS and Android SDKs a plus. Having Knowledge of Appium a plus. Must be aware of Agile Methodology. Should have a good understanding of STLC, SDLC, Test processes, Testing types. To be able to write complete as well as complex test cases in order to ensure completion of the project. Should be aware of Defect life cycle. Must be able to log a defect and retest the same. Must possess creative and critical problem-solving skills. Ability to analyze functional requirements, raise queries and participate in project discussions and walkthroughs. Ability to learn and apply new methodology. Team oriented with strong interpersonal skills. Software Testing Certification eg: – ISTQB. Automation testing experience using Java in Selenium. Able to understand and design Automation Framework Hybrid, Data Driven, Keyword Driven, Behavior Driven. Performance testing Exp. using Jmeter. API knowledge and testing of API using Postman/Swagger. Experience in Mobile Application Testing. Analyze functional requirement, design specifications & create test plans & test cases. Perform manual testing of Vichara’s software products. Identify QA and testing issues. 1+ years of experience as quality, testing analyst in manual testing. Experience with Selenium, QTP is preferred. Remo Software is looking for a Software Test Engineer (Manual Testing). This individual will be involved in manual testing of computer-based applications and Services. Generate reports such as defect analysis report, project status report, etc. 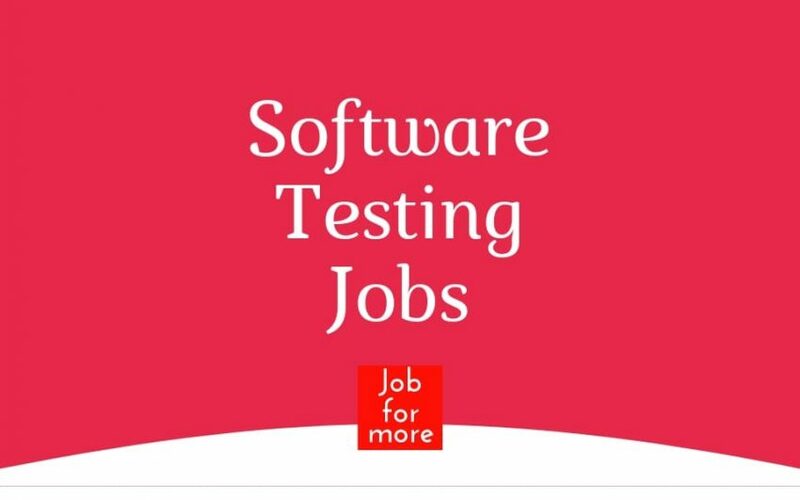 Looking to hire fresher – Experienced up to 5 yrs candidates on Software testing at Ahmadabad Location. Good in communication, decision making power IT back ground would be best for this profile. AM Webtech is one of the leading Web & Mobile App development Company in Indore, M.P., India. The company was founded in June 2010, From the very beginning, we have truly devoted ourselves to our work and delivered a distinctive experience to clients. Good knowledge Manual Testing,STLC,Bug Solving,Test Cases Writing. Good learning skills, and highly dedicated resource. Manual testing and execution of Android CTS. Write Test Scripts And Automated Test Cases Using Shell Script. Investigate, Analyze, Debug And Report Bugs During Testing Stage Of Development Life Cycle. Support Manual Executions And Automation Collaborate With Other Members Of Team In Developing Automation Tools. Enhance Productivity By Providing Technical Solutions. Hands On Experience Of Automation And Manual Executions Of Scripts. Good Debugging Skills In Linux Or Android System Programming Experience In Shell Scripting Or Python. 3 – 6 years of experience in testing website/Product and mobile application. Excellent understanding of testing life cycle, SDLC, test Processes. Strong technical background and have excellent problem-solving abilities. Good in at least one programming or scripting language. Understanding of databases and ability to write SQL queries. Should be a self-starter with high initiative and enthusiastic to learn and deliver on latest tools and technologies. Experience in functional testing and coming up with test scenarios, test plan and executing them. Experience with automation (must) & automation testing with tools like Selenium/Appium is a must. Experience with performance testing a great plus. Manual Application and Product Testing on Android /IOS. Very good Python development experience and prior experience in developing frameworks like Appium is desirable. Capable of developing end to end system with high reliability. We are looking out for passionate QA for our team. Skill- OMS Sterling + QA. Year of Exp- 4+ (minimum 1 year of exp in OMS Sterling). Review and analyze system specifications. Execute test cases (manual or automated) and analyze results. Evaluate product code according to specifications. Must have experience in design, develop, test & deploy native android applications. Development experience with Android OS and Knowledge of Web services/API interactions. Blue Bird Technologies Pvt. Ltd. hiring Python – Automation Developer for Client of Blue Bird Technologies Pvt. Ltd.
5-9 years’ experience in Python. IT understanding and basics of software development. Knowledge of batch scripting, and browser automation tools E.g :iMacro or similar. Experience in process development and documentation. Below is the requirement for the QA role we are looking for. We basically need someone who is really proactive In not just identifying issues but also puts in an effort to point out where the issue is coming from. Also need someone who is good with data validations/comparisons and good with SQL. Some experience in the capital market domain. Comprehend Stored Procedures and also queries given by the SME. Be able to understand the data and write simple SQL queries using joins. Experience in data comparisons and willingness to learn the investigative process to find the cause of the differences. Experience using data comparison tools like EXCEL, BeyondCompare, SQL etc. Good understanding and experience in smoke, regression, functional, failover testing. Able to understand the architecture of the application. Experience working end to end with Web/Desktop based applications including services and database. Be able to communicate and report issues to Dev/SME and follow through resolution. We have an Urgent Opening for RPA Lead Developer (Blue Prism) in Mumbai. Strong experience in RPA Development (Blue prism). Experience:- 7+ years[Minimum 2.6 years in RPA Blue prism]. Blue Prism & .Net+ any Programming Language. Experience in Customer handling in day to day basis. Strong Development Knowledge on RPA Blue prism. Prior experience as a core dot net developer. Automation Test Engineer is expected to run load, stress and performance tests and generate actionable test reports. Write test plans and test cases, execute tests and build automated test suites. You’ll run load, stress and performance tests and generate actionable test reports. Preferred Skills include Selenium, JMeter, Jenkins, Jira, GitHub, bitbucket. Develop, manage and maintain automation framework that can retain reusable automation test cases and test data using selenium. Develop, execute and maintain automated test scripts for functional, integration, regression, performance and usability testing. Develop test automation strategies and approaches that incorporate multiple phases of software testing including unit, system and integration, functional, performance, and regression testing. Contribute to test automation by knowledge of coding/ programming and develop supporting test plans that incorporate automated testing tools. Provide requirements/ specifications for automation of test cases and designs test harnesses for Automation Testing. Develop and implement strategy for creating and maintaining reusable test data and Automated solution for Sanity Testing for various repeatable tests. Implement automated testing of web applications, mobile application (iOS and Android) across multiple web browsers and platforms. Kindly note: Shortlisted candidates will be invited for Face to Face Interview on Saturday, 27th April,19 @ Bangalore location. Document, design, and implement automated tests and automated test verification. Works closely with teams, (developers, architects, business analysts) from other disciplines in order to effectively test projects/issues. Build a deep understanding of the products that will require scrutiny for quality assurance. Create and review comprehensive test plans. Bachelor’s Degree in CS/IT/E E or MC A background or related equivalent professional qualification. Proficiency in programming languages such as Java and PL SQL /SQL. Understanding of Technical skills such as development, maintenance and software improvement. Experience writing automation routines using java and Selenium Web driver. Experience with automated QA test implementation and results verification. Experience with automated test development in a Windows /Linux environment. Experience with automated test development in a web environment. Experience developing test plans and acceptance criteria. Experience in Continuous test integration using tools and techniques. Excellent skills in writing SQL queries, and good knowledge of databases [Oracle/ PL S Q L]. Experience with PL/SQL programs. Worked in an environment that implemented CI/CD tools and processes. Sharp analytical and technical skills, great attitude, detail-oriented, and inquisitive. Flexible to work/adapt quickly with different technologies and tools.